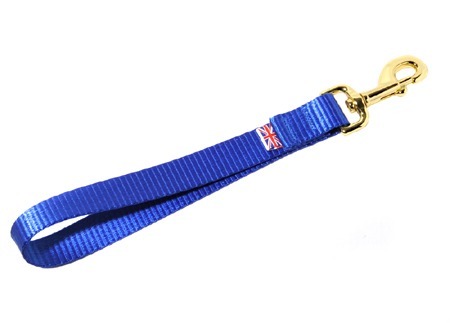 Browse our range of deluxe webbing dog leads. Deluxe Webbing Alpine Lead with Karabiner Made from high spec safety line 25mm webbing with a climbing Karabiner. Deluxe Webbing Clip Lead Made from high spec safety line 25mm webbing. Image shows upgraded brass fittings. Nickel fittings come as standard. Deluxe Webbing Hand Loop Lead. Made from high spec safety line 25mm webbing. Image shows upgraded brass fittings. Nickel fittings come as standard.